Nominated for the Will Eisner Award. 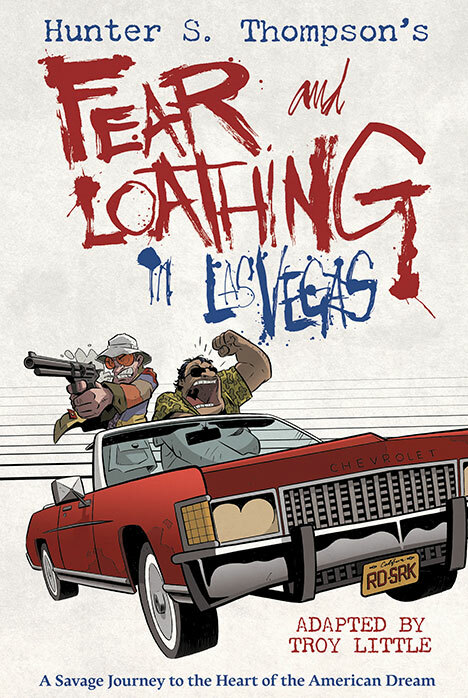 In proud partnership with the Hunter S. Thompson Estate, Top Shelf Productions is pleased to announce Fear and Loathing in Las Vegas, a delightfully bonkers graphic novel by Eisner-nominated artist Troy Little adapting Thompson’s seminal book of the same name. 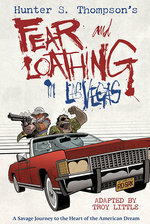 Join Thompson's alter ego Raoul Duke on the mother of all Vegas benders, as he and his attorney, Dr. Gonzo, cover a motorcycle race, crash a drug-enforcement convention, and rack up obscenely large room-service bills, all while dosed to the gills on a truly spectacular assortment of mind-altering substances. Troy Little's faithful adaptation will capture the full gonzo experience in a glorious full color graphic novel. Little is previously known for the Xeric-award-winning graphic novel Chiaroscuro and for his Eisner-nominated series Angora Napkin, both from IDW Publishing. Now, his irrepressibly energetic cartooning brings a new level of manic energy to Thompson's rocket-fueled narrative.